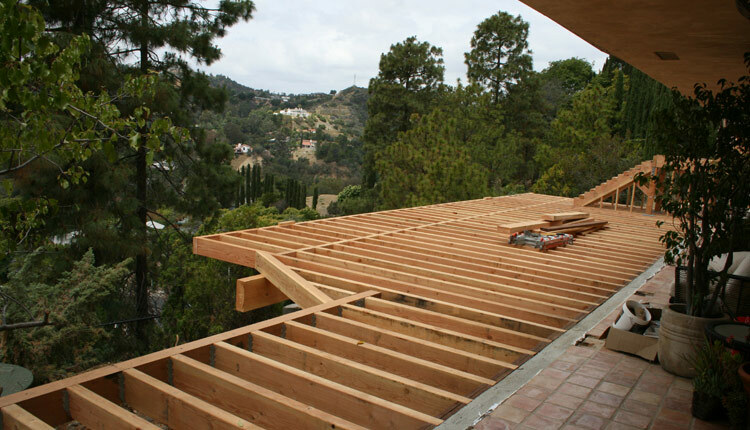 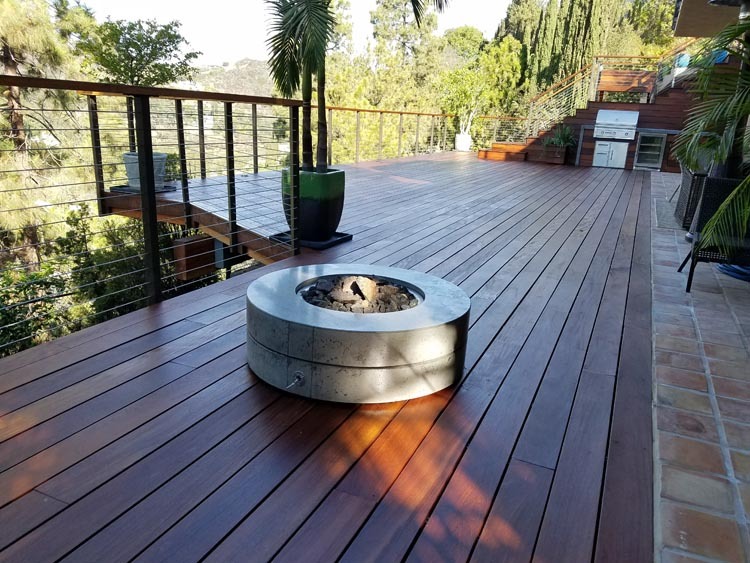 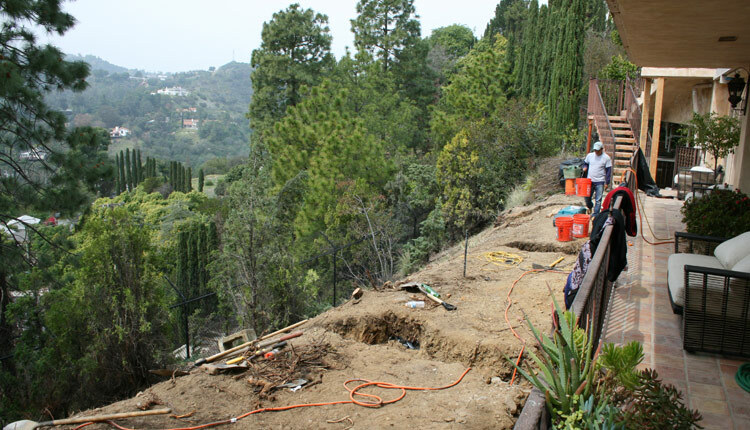 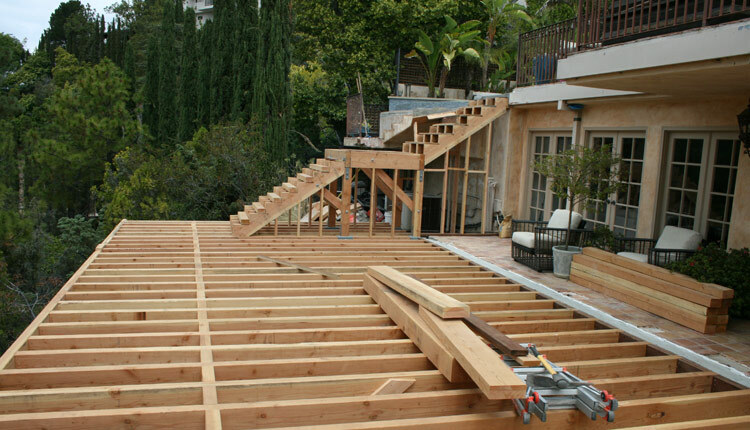 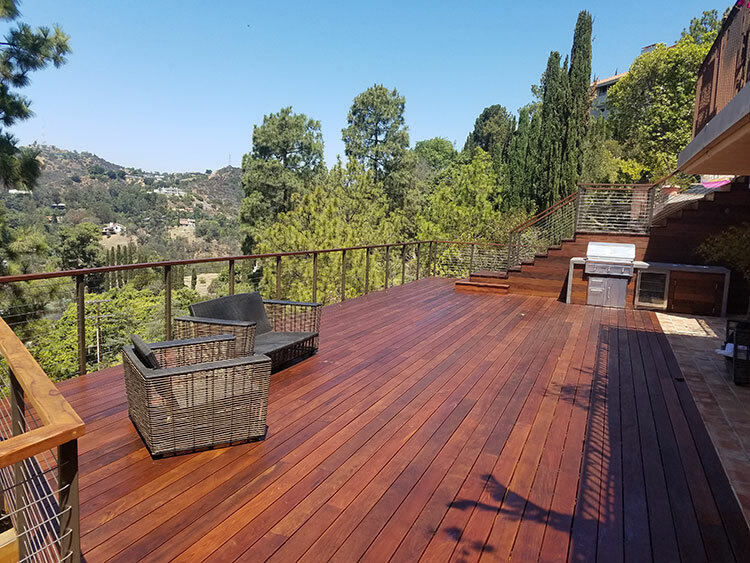 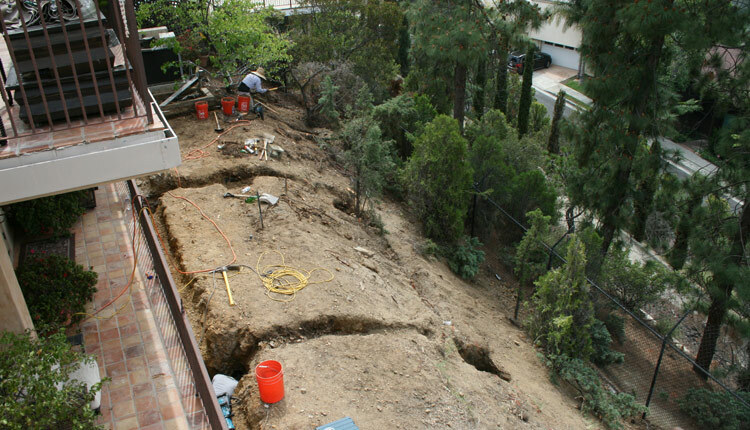 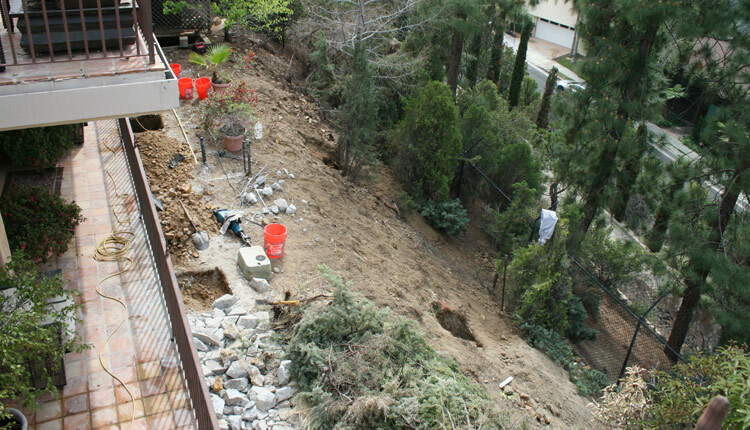 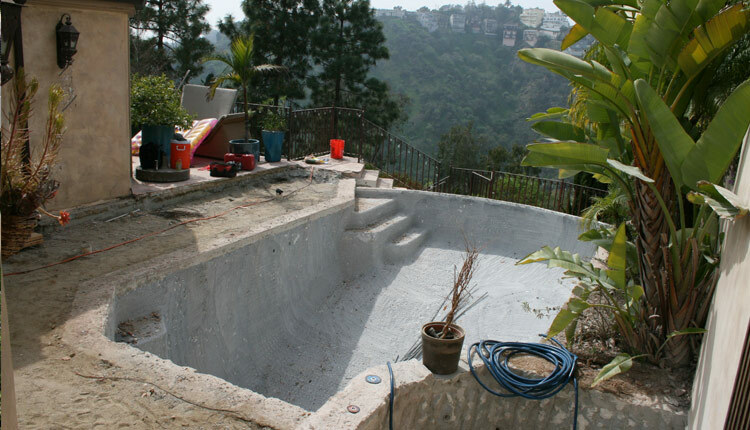 Mount Olympus IPE Hillside Deck & Pool project of Danny Deck Construction, Inc.
Multi-level Hillside deck starting from scratch in order to extend backyard over the hill. 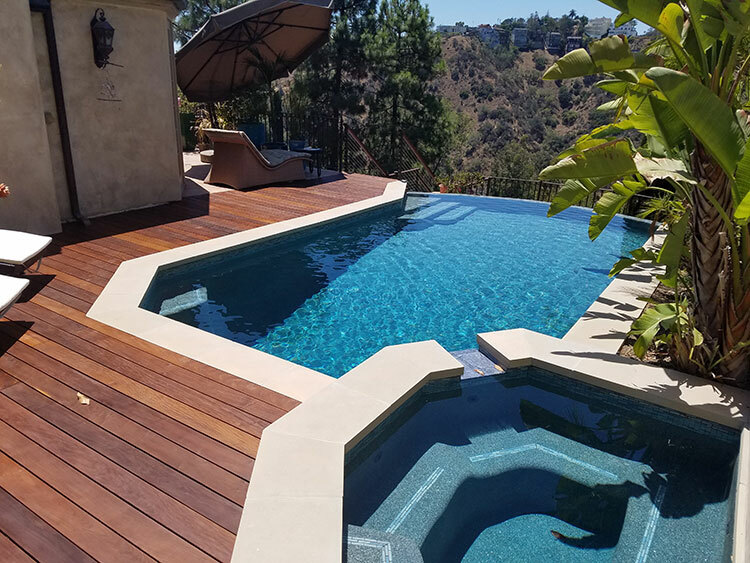 Infinity pool renovation using pebble tech finish and light color precast pool coping surrounding by Ipe wood deck flush with pool coping. 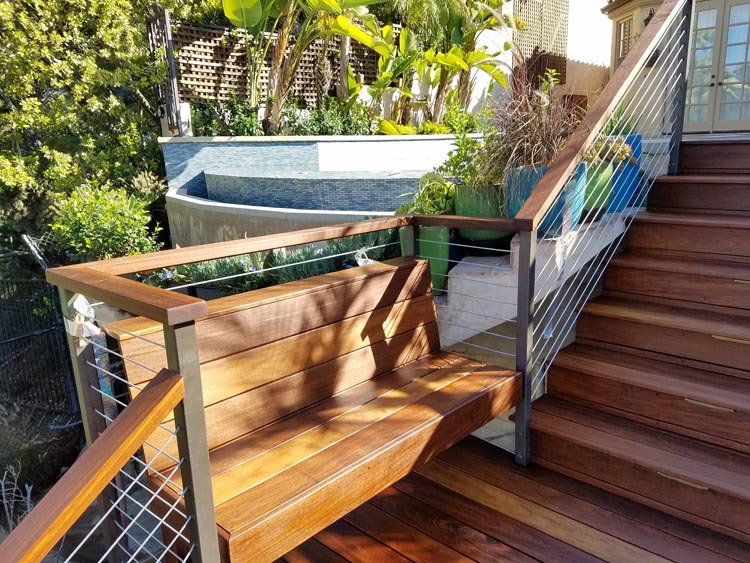 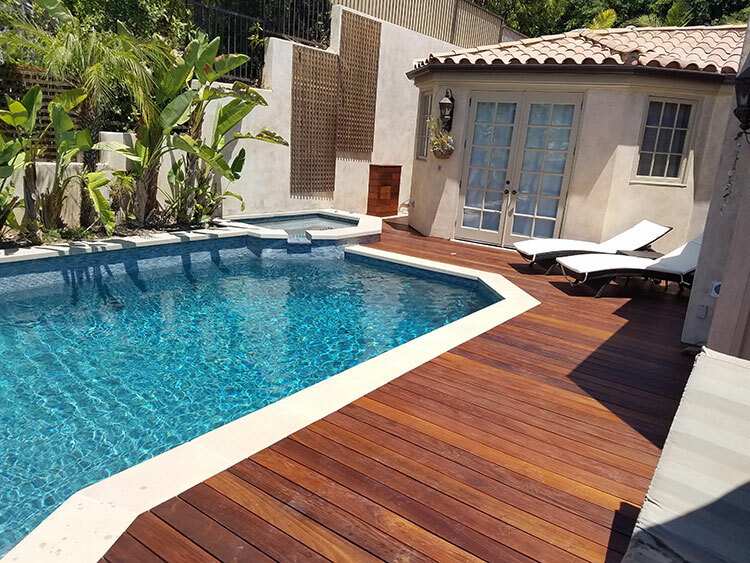 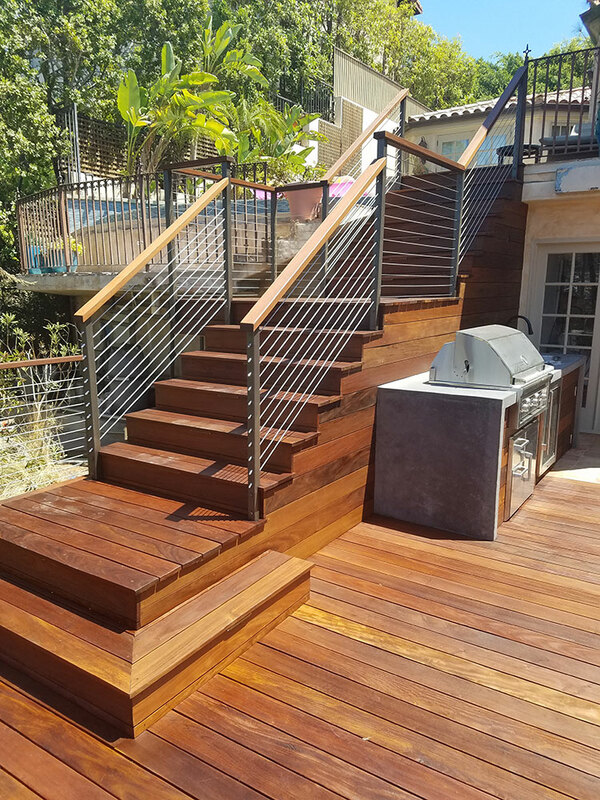 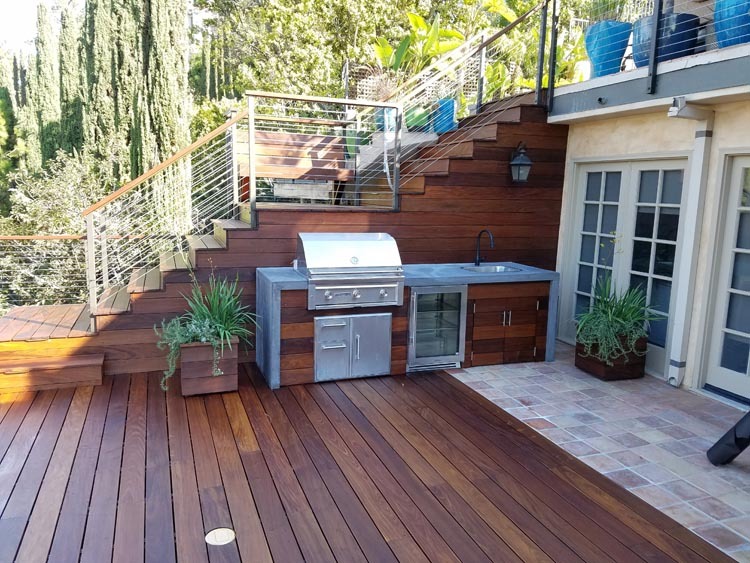 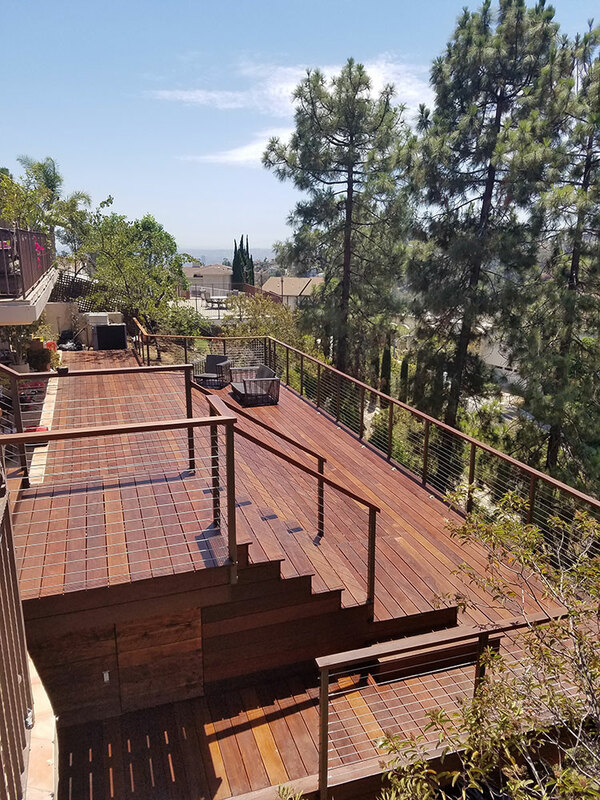 From pool level new staircase put in to step down to the next deck level with an amazing point of view landing area equipped with Ipe wood bench and bottom large landing area inviting entrance to main deck. 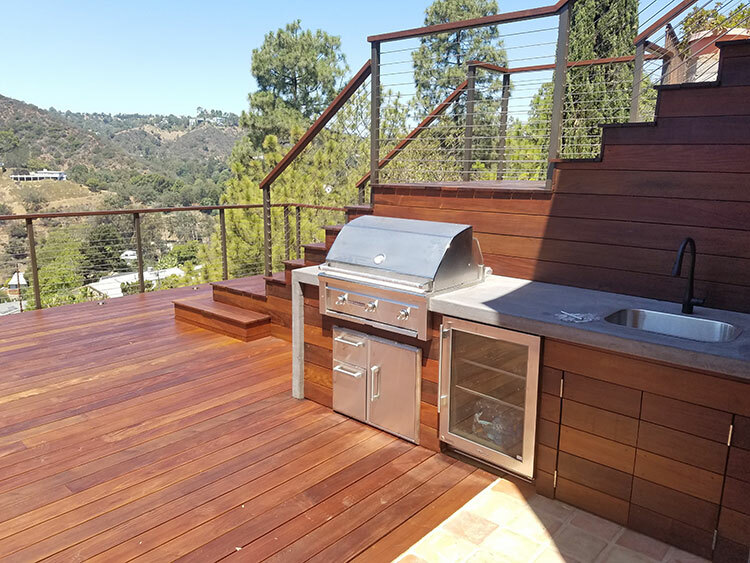 Outdoor B.B.Q kitchen on side of staircase equipped with water, gas, and electricity. 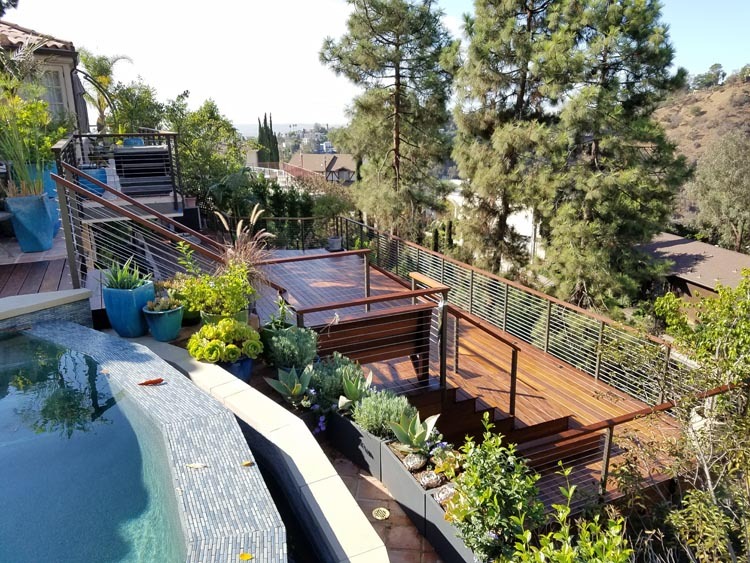 Artificial grass area with big tree planter box put in floating above the hill to provide contrast with ipe wood deck and landscaping.